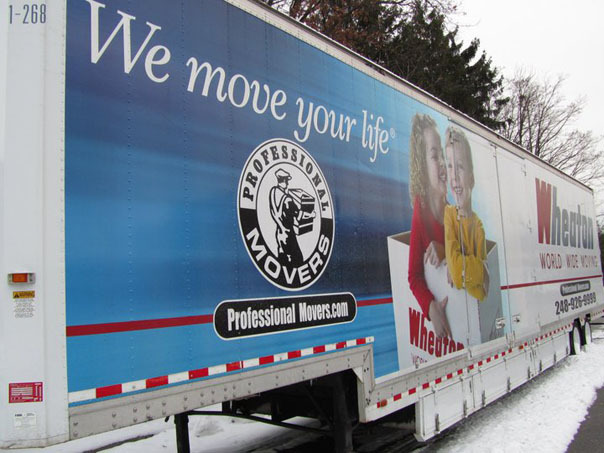 We are proud to announce that we partnered with Marathon For Meals to provide a moving trailer that accepted non-perishable food donations for the 26th Annual Food Drive. Once the drive was complete, one of our drivers loaded trailer and delivered the donations to the Gleaners Community Food Bank. For 26 years, Detroit Radio Icon Bob Bauer, has been doing his Marathon For Meals to benefit local food banks, emergency food pantries, soup kitchens and shelters. This year, for 12 Days Bob was camped outside the Patrick Financial Building in downtown Brighton collecting non-perishable food donations. In this picture, Andrew Androff stopped by to visit with Bob and provide a donation. 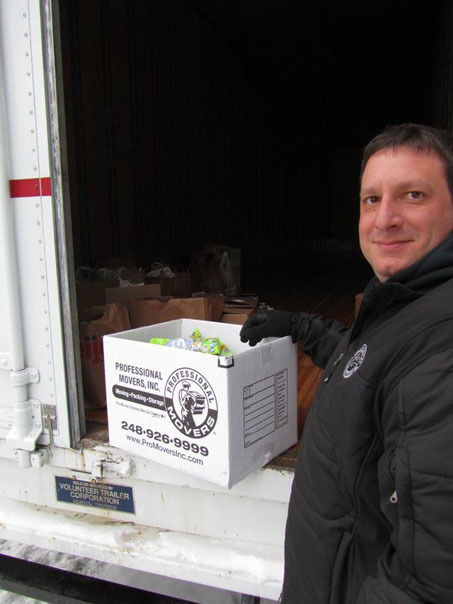 Interstate Moving Relocation Manager, Mike Bailey, delivers a food donation to the Marathon for Meals Food Drive in Brighton, MI. We donated our moving trailer to accept the donations and then transported the goods to the Gleaners Community Food Bank.